The first models in the RACOP-NW machine series are the RACOP 2-NW and RACOP 3-NW. The machines are available in the gauges of E 12, E 14, E 22 and E 28 and with a working width of 160″ initially. More working widths and optional electronic guide bar control are being planned. The EL function considerably increases the range of patterns and constructions that can be produced, and thus extends the potential of the new raschel machines for use in web bonding. These machines process feed webs and other carrier substrates that can be pierced in thicknesses of up to 5 mm. A device for forming pile loops is optionally available to cater for special applications, and fabrics with special specifications can be produced. As well as being versatile, the RACOP-NW machines are also fast, and operate at a maximum speed of 2,000 min-1. At Kingpins in Amsterdam, we will be presenting our Laundry (R)evolution, demonstrating how, with just three simple steps – and only three technologies – it is possible to obtain an incredible number of possibilities on the garment. And how a more efficient, simpler and more sustainable production cycle can be developed as a result. For-real. Specifically, we will be replacing the processes of manual abrasion with Laser and all wet processes with our All-in-One system in order to achieve an infinity of unique and diversified finishes. This is a single machine that contains the most recent generation of finishing technologies: ECOfree 2, NoStone®, UP and Core. And, to further highlight the potential of the system, we will be using the same fabric and the same laser design for all the developments. Finally, with Metro, our brand new software, we will be measuring, with complete transparency, all the real data relating to the consumption used for each individual garment and process as the machine itself will supply the data, guaranteeing the accuracy and truthfulness. And as if all this were not enough, we will also be presenting a collection of eco-dyeing realized with the combination of our Nitrogen System technologies, that create dyes with very low environmental impact, Jet System, which reduces the consumption by 70% of water, additives, and energy during the process, and Core, by which special effects and performance can be created on the garment through controlled and automated spraying. IN SHORT, IN AMSTERDAM WE WILL BE GIVING A LIVE PRESENTATION OF WHAT WE CALL THE LAUNDRY (R)EVOLUTION: SUSTAINABLE, SOPHISTICATED, SIMPLE. How can you fabricate top quality and optimize production processes at the same time? These questions have occupied the Brazilian textile industry for some time now. Answers to that gave the “German Textile Forum” in Blumenau. Organized by Mvaz Representações, leading German textile machine builders Brückner, Mahlo and Thies introduced at the conference equipment and technical features that enhance every production line. Mahlo’s Area Sales Manager Miguel Lessel presented the machine builder’s latest generation of weft straightening systems. In addition to that, the participants could learn more about process control and optimization with the pick counter Famacont PMC or the residual moisture measure Textometer RMS. For highest precision and for eliminating asymmetrical distortions, Mahlo’s Orthomax RFMB is the perfect tool. Lessel explained in detail, when and where the fusion of pin wheel and roller straightening technology is optimally applied. 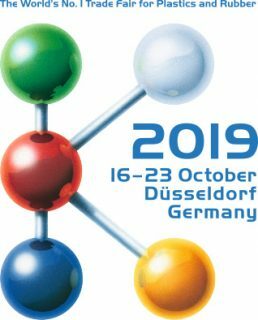 Representatives of Brückner and Thies focused on topics such as direct coating, heat recovery and air purification as well as dyeing machinery innovations and supplementary dyehouse equipment. A typical male profession? Exactly these stereotypes within the working world, the Girls’ Day wants to dispel. Mahlo GmbH + Co. KG took part in this nation wide initiative again this year and introduced female young talents to task fields and job opportunities in machine building. The German government has initiated the Girls’ Day to excite girls for scientific or technical professions. That electronics technician or industrial mechanic is not only a job for boys, participants Vanessa and Michelle agree on. Both are not averse to choose an industrial profession. “We are now in 8th grade and have to apply for jobs next year”, Michelle says. That’s why they still have a little bit time to think. The students, however, appreciate the fact that they already know now what to expect from industrial apprenticeships at Mahlo. Because instructor Andreas Beil and the Mahlo trainees had prepared an interesting agenda for their visitors. After touring the production halls for weft straighteners and quality control systems, Vanessa and Michelle were allowed to show their practical skills by working small parts. In addition to that, they had the chance to look current apprentices over the shoulder. Josephe John, industrial mechanic, demonstrated how a pneumatic drive is build together.